In an old newspaper, I come across a photo of the Paris Commune. 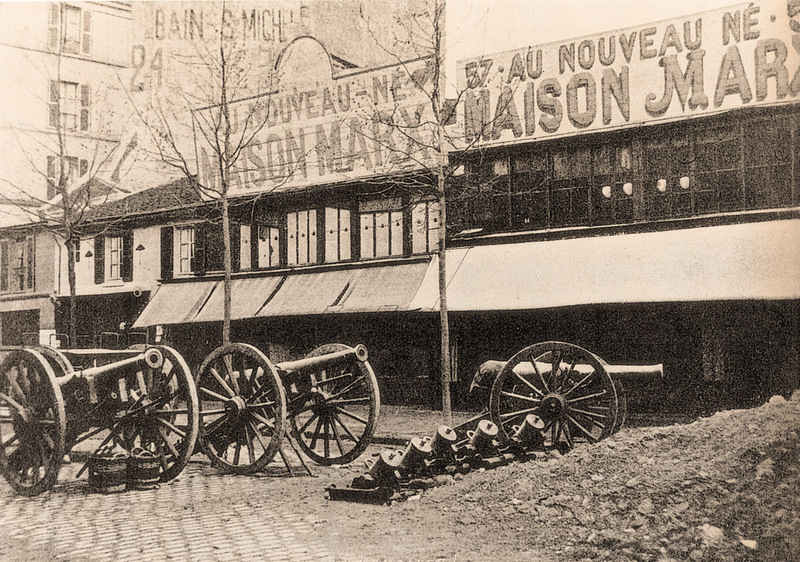 It shows part of the barricade in rue de Batignolles, near place Clichy; in the middle of the street, five mortars and three bronze cannons, and behind some saplings (which despite le temps des cerises have yet to sprout leaves) a low building with clear curtains behind its poor windows. Above, repeated twice in large characters, the number of the street and its social reason: 57 - Au nouveau né. Maison Marx. It seems like a joke. A little crass, I'd say, like chance ones usually are. 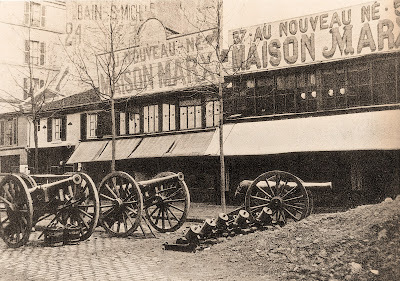 What could the owner or shop-keeper of 'Everything for the baby' know about it, he who shared the same last name from Alsace or the Rhine with that other one, Karl, who during those days, in London, scanned dispatches from the insurrection? Franco Fortini, '[Maison Marx. 1960]', in L'ospite ingrato, 1966.